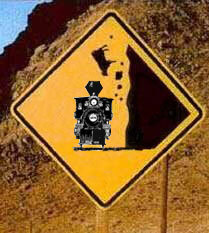 2009 Eight Days behind the SP4449 "The Daylight" Mom and I spent 8 day crossing the country behind a steam engine. We stayed in the California Zephyr Railcar Charters Cars plus the Colonial Crafts Car for the whole trip. What a way to travel! The photos are up in our shutterfly page. It was hard to sort them down to a manageable number! See our Shutterfly Share page to check out the rest of these! Photos from the golden Spike Ceremony Weekend. What fun! See the Pictures from the Golden Gate/Niles Canyon/Portola Railway move! Look out for dead cow curve! See slide show of the #3 out for a ride with one of my favorite construction projects (the YV330) in tow! 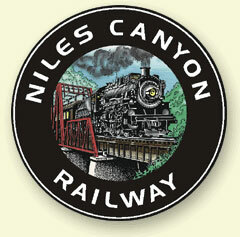 Check out the Niles Canyon Railway!